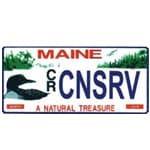 The Maine Department of Inland Fisheries and Wildlife (MDIFW) is the agency responsible for the stewardship of the State's inland fisheries and wildlife resources. This legislative mandate is extended to all the state's wildlife - moose to mayflies, charismatic and unpopular, predators and pollinators, species at the edge of their range, or species naturally dispersing into the state. As the responsibilities of the MDIFW (and the Wildlife Division) have evolved over time so has the method of funding wildlife conservation and management activities. Funding Maine's wildlife programs comes from many different sources. Most of our work with game animals and furbearers, many of the salaries, and most of the administrative costs of the Wildlife Division, are funded by hunting license and permit revenues, which are matched by federal Pittman-Robertson Funds (based on an 11% excise tax on sporting arms, ammunition, and archery equipment, and a 10% excise tax on handguns). These funds have been critical to conserving game species and their habitat and have provided numerous secondary benefits to nongame species as well. Revenues generated from the sales of state waterfowl hunting stamps (duck stamps) have been dedicated to acquisition and development of wetland habitat. Funding from these initiatives has been inconsistent and in many instances has declined because of placement on tax forms or competing check-offs, license plates, and lottery tickets. Revenue generated from the Chickadee Check-off and the Loon Plate has declined nearly 75% and 50% respectively from historic highs. At the federal level, there has been some support for conservation of nongame and endangered and threatened wildlife from Oil Spill Conveyance Funds and Section 6 funds under the Endangered Species Act. More recently, State Wildlife Grant [SWG] funds are showing promise in funding conservation of species of greatest conservation need identified in Maine's Wildlife Action Plan. To make the most of SWG funds and to demonstrate success, Maine will need to identify required matching stateside funds, which often challenges the State's lean coffers. Nonetheless, demonstrating success will be key to continued Congressional support of the State Wildlife Grant program. The need for additional funding to continue wildlife conservation efforts far outweighs available funds. 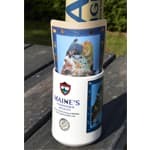 We can enjoy a time together with the expectation that Maine's wildlife will be sure to delight us. 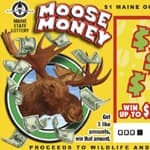 But Maine's diversity and abundance of wildlife is NOT a product of chance. 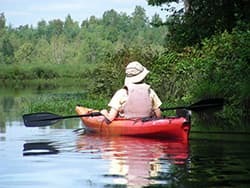 There are many private organizations and governmental agencies dedicated to maintaining Maine's quality of life, but the Wildlife Division of Maine's Department of Inland Fisheries and Wildlife is ultimately responsible for conserving, managing, and enhancing Maine's diverse wildlife, from moose to mayflies. 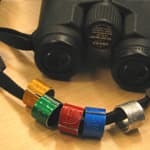 The Wildlife Division provides the foundation for many of the other Department's activities, such as law enforcement, licensing, and information and education. Lack of sufficient financial resources is a problem that cuts across the spectrum of our wildlife needs and affects wildlife management and conservation efforts. Current resources are inadequate to collect biological information and develop and implement strategies for habitat conservation and species management. State General Fund tax dollars have all but evaporated, and the sale of licenses and permits is down substantially from historical highs in the 1980s and 1990s, while the mission of the Wildlife Division continues to expand. In addition, as other state revenues (Chickadee Check-off, Loon Plate, Outdoor Heritage Fund) decline and budgets shrink, the Wildlife Division risks being able to leverage state resources to provide the required match for federal investments in wildlife management, and Maine's natural resources will suffer. Our most pressing need is a stable and adequate source of funding for all of our wildlife conservation programs. 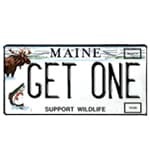 The Constitution of Maine be amended to require that at least 1/8 of one percent of the State Sales Tax be dedicated to fish and wildlife conservation programs to be distributed to the various state agencies that administer those programs. The share of state gas tax revenues distributed to state agencies for operation of boating, ATV, and snowmobile and related programs should be at least equal to the portion of the gas tax revenues generated by watercraft and recreational vehicle gas sales. 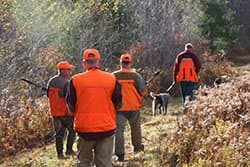 Every 4 years hunting and fishing license fees should be reviewed by the Legislature and adjusted as appropriate to reflect the cost of providing hunting and fishing-related services. The Maine Income Tax return be revised to restore the Chickadee Check-off to the main part of the tax form. Your support to establish a stable funding source to continue the work of the Wildlife Division is appreciated. 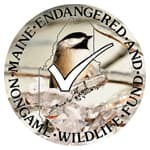 We THANK all of you who purchase a license or permit, Loon Plate, Sportsman Plate, contribute to the Chickadee Check-off on your income tax return, or purchase a Birder Band or Maine Outdoor Heritage Fund lottery ticket. Your support and generosity are greatly appreciated!